Remote Monitoring and Management (RMM) is a remote monitoring software that allows Managed Service Providers (MSPs) to monitor and manage endpoints, computers, mobile devices, and networks remotely from a centralized console. 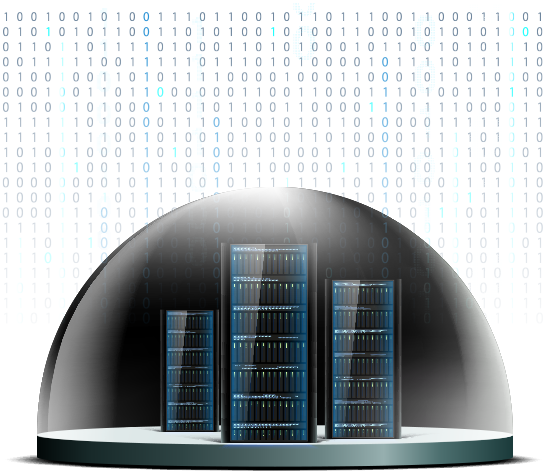 Comodo Dome Anti-spam uses a unique containment technology and the Valkyrie file verdict platform. Risks are fully contained before reaching the end point, thus preventing infections even from latest malware. STOP THREATS BEFORE THEY ARE EVEN BORN! Comodo AEP is THE ONLY endpoint security solution that provides immediate auto-containment of all unknown zero-day threats! Our Advanced Auto-Containment System ensures your endpoints are protected against any current or unknown threat in the future. Our Competition Cannot Keep Up! 85 Million Endpoints. 0 Infections! Because we understand Science, we understand the Challenges! In computability theory and computational complexity theory, an undecidable problem is a decision problem for which it is known to be impossible to construct a single algorithm that always leads to a correct yes-or-no answer. It is not possible to decide algorithmically whether a Turing machine will ever halt. This theory still holds true today! There is no endpoint security vendor who will claim otherwise...They can't!. How it applies to Malware detection and endpoint protection? A malware is an "algorithm" a "software" behavior an antivirus product, whether a legacy antivirus, heuristic based antivirus, behaviour based antivirus, statistics based antivirus or next gen AI based end point protection product is still is "software". And Science has proven it that a "Software" cannot determine if another "Software" halted or not. An Endpoint Protection product has to make a decision about another software and ultimately it has to make this decision without ever knowing if the other software (potentially malicious software) ever finished doing what it is supposed to do or not. Because it can never know that, it can never find all the malicious software. At the end of the day, all these software solutions do nothing but attempt at offering "some" probabilistic solution to the "Halting Problem" which they face, which they know can not be 100%. Bottom line is, you can never have 100% malware detection using software! Now you have a scientific explanation as to why your endpoint security products let malware in! Problem: Halting Problem means you can't detect all bad, which means by allowing everyone you are allowing in potential malware. Default Deny: Does not detect bad but only allows known good in. Problem: On its own it is difficult to use, end user experience affected, not practical. In order to mitigate breaches needs to be implemented in a form that is more than a simple application control. Having a Default Allow posture, while knowing Halting Problem exist (i.e: you can't detect 100% the malware), means you will get infected and suffer a cyber breach. Scientifically proven. 100% Detection does not Exist (Scientifically proven)...You are letting All the Unknowns in!!!! No more chasing tail "trying to detect"
We Automatically Contain The "UNKNOWN"
The Unknown file is the enemy. We will give each and every file 100% Trusted Verdict! We use Human Analysts for 100% trusted verdicts. You will KNOW EVERY FILE in your Network! You can say: I KNOW there is no Malware in my Network! We will make sure everything you run is 100% Safe! Heck, go head run live Malware on your computer... You will still be safe! With patented OS – Virtualization and Human Intelligence in 100% verdicts overcomes the endpoint security challenges. The days of running unknown files are over.... Every file you run will have a 100% Trusted Verdict. "Our paramount concern had been how we prepare for the unknown and how we ensure the protection of our endpoints. Comodo came in and solved our concerns with the most advanced threat containment technology I have ever seen." "Before Comodo, we were going through what seemed to be daily malware fixes and problems. Since Comodo, we've had zero malware or spyware issues. We don't fear that unknown, zero day threat because we know the Comodo Advanced Endpoint Protection suite can handle anything the cyber criminals try and throw at it." Mr. Clint Davis, IT Manager, Christian Motorcyclists Association. "We selected Comodo and its Advanced Endpoint Protection solution because it clearly addresses the problem of malware and cyber-attacks through a unique containment technology. Also, its prevention philosophy is different from anything else in the market today." "Comodo Advanced Endpoint Protection gives us a streamlined dashboard where we can manage our endpoints, keep them secure, and perform installations and updates to our technology—with zero interruptions to our users." Mr. Dustin Hurshman, IT Analyst, the City of Thousand Oaks. "Comodo's technology has the ability to automatically contain any file that might be harmful or cause disruption to us – and contain that file automatically. There is so much malware and spam in the world today, I need to be sure that I'm using the very best technology that can automatically contain and control these threats and never have them negatively impact my IT environment. Comodo technology contains all threats – known and unknown – and keeps my IT environment secure." "We ran multiple tests and benchmarks of putting Comodo, Symantec and other anti-virus technologies against one other to simply pick out who would perform best. When we tested the Comodo endpoint security product, it detected viruses and malware that none of the other competing products detected. It was right then and there that we knew Comodo's technology had to be the new solution for us to protect our critical data." "For more than a year, we have been using Comodo ESM and we've never had an issue related to malware or spyware penetrating our IT environment. The Comodo ESM solution contains any outside threats and keeps them away from our critical infrastructure, while at the same time giving our IT team tremendous insight, freedom and flexibility to configure the solution in the most optimal way for us. It's a win-win security solution for us and we are proud to use Comodo." 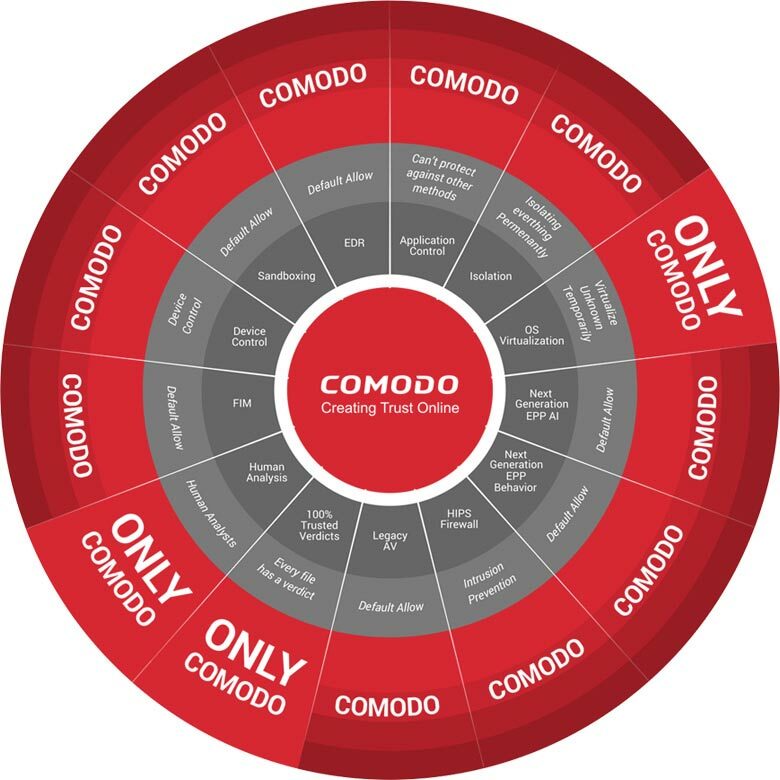 "The Comodo Advanced Endpoint Protection console is a valuable source for information on all of our endpoints, providing a snapshot of resource utilization, event log entries and overall protection strategy. We can't imagine using any other security software other than Comodo to protect our endpoints." "The key with Comodo's ESM solution is that its unique containment technology truly protects our endpoints from any outside threat to our IT system – regardless of what that threat might be. We are protected and safe and able to run applications freely in a contained, controlled and safe environment – with zero interruption to our users." "For the past year, Comodo ESM has contained our network from the possibility of any known or unknown threats from penetrating our IT environment. It keeps our critical information intact and protects us from malware and spyware – with no interruption to any of our users"
Sonny Underwood, IT Director, Mid-South Steel Products, Inc.
"We are thrilled with the endpoint security protection suite that Comodo provided for our IT environment. Comodo Endpoint Security Management gives us peace of mind, where our students can freely take advantage of all the great technology we have in place to share and exchange information to improve themselves as students. Because we are now using Comodo and its containment technology, we are not at risk to have any of our school or student data exposed to cyber attacks, and that makes me and my team sleep easier at night." "The unique containment technology that makes up the foundation of Comodo Advanced Endpoint Protection is completely different than anything in the market today – focusing on prevention, not detection – and that's what sets it apart. Also the ESM dashboard allows for panoramic insight and control over all aspects of endpoint protection for both me and my customers – saving me time, money and resources – without sacrificing features or security protection." "As a company that works across a global network, we have hundreds of endpoints in various forms, all of which could be at risk for a virus or rogue malware. We have been thrilled with how Comodo Advanced Endpoint Protection fits into our IT environment." "We have been thrilled with the partnership with Dr. Deutsch GmbH as well as with Comodo's endpoint security technology because it protects our IT environment from both known – and unknown threats. Comodo's containment technology is like a fortress for our IT environment – keeping the bad and unknown files away from our endpoints, while at the same time allowing all of our good files to be fully accessed by our employees and not impacting productivity." "We've been running Comodo Advanced Endpoint Protection for over a year now and we have never encountered a security or malware issue. Comodo's automatic containment technology—which clearly separates Comodo from all other products – keeps our endpoints secure. The fact that my IT system can automatically contain a piece of malware gives me peace of mind. Every enterprise should use Comodo ESM if they want to protect themselves from unknown malware."